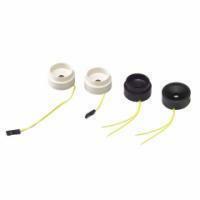 Special piezo resonance casing kit with terminal. Can be linked to control board. Pioneering construction of generating high decibel sounds from a small casing. *****We also welcome new designs and specifications you would like to develop for this product, please feel free to contact us.